Hi, I need to report a freelancer. We started off on okay terms but due to life circumstances, neither of us were able to finish the project. I asked for a full refund September 2018 and I've received nothing but excuses. Can Upwork help me solve this problem? Probably not, if you paid that long ago. You have 30 days after your last transaction to file a dispute through Upwork. It sounds like that has long passed. If you still have money in escrow, you can close the contract and request a refund of that money. But, anything you paid out in advance of services and then didn't challenge within the 30 days is likely out of reach. If your freelancer worked, they deserve to be paid for the work they did. If there is still money in escrow, close the contract and it will be returned. If you are trying to get money back that you paid for work that was done in September, its too late. No work was done. The freelancer wanted me to pay the whole contract in full before she began. I was paying the contract off about every two weeks so there is no money in escrow. If you funded escrow before the job was done, then the money should still be there. Close the contract and the money in escrow will go back to you. If you released escrow before the work was done that wasn't a good move. How much money are we talking about? Yes, the freelancer is still active on the website. It's between $200 and $300. re: "I don't know what to do." What to do is let this go. You can report this freelancer, but that's neither here nor there. You would be better off NOT trying to get the money back. The important thing for you is to learn how to use Upwork properly so that something like this doesn't happen in the future. 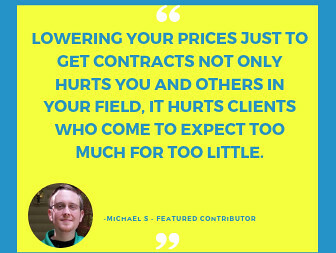 Don't pay freelancers up-front money. That is what the escrow system is for. Don't release money to freelancers until you RECEIVE and REVIEW their work. If you are not satisfied with a freelancer's work, for any reason, then stop working with her. Feel free to come to the Forum to ask questions. Used properly, with an understanding of how things work, it is impossible for a client to lose any significant sum of money. 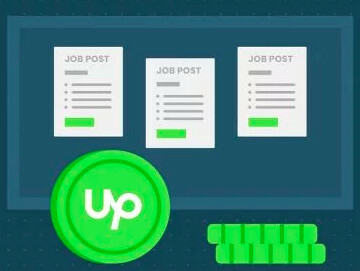 There are many ways to use Upwork wisely and proactively so you don't have something like this happen to you. 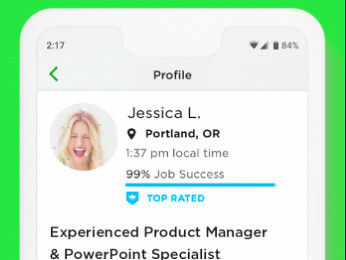 If I cancel the contract does Upwork save a copy of our conversations?